At least one of the alleged chemical weapons facilities targeted in the April 14 joint American, British and French strike on Syria was inspected and cleared by an international watchdog last year, according to official documents. In a report issued Mar. 23, the Organization for the Prohibition of Chemical Weapons (OPCW) indicates the Barzah facility, characterized by US officials as at the “heart” of the Syrian chemical weapons program, had been inspected twice in 2017. The most recent inspection was carried out last November. “The analysis of samples taken during the inspections did not indicate the presence of scheduled chemicals in the samples, and the inspection team did not observe any activities inconsistent with obligations under the [Chemical Weapons] Convention,” the report said. That conclusion is directly at odds with Trump administration claims regarding the nature of the facility. The Barzah complex, located in a northern district of metropolitan Damascus, is part of the Syrian Scientific Studies Research Center. In addition to Barzah, the April 14 strikes also hit two buildings associated with the Him Shinshar compound west of Homs City. The strikes were carried out in response to an alleged April 7 chemical weapons attack on the rebel-held city of Douma. Despite the fact that no investigation had been carried out before the strikes, American, British and French officials blamed the Assad regime for the attack. In a prior report, dated Mar. 13, the OPCW said that the last two of Syria’s original 27 chemical weapons facilities are slated for demolition in the coming months. The two remaining facilities, described generically as “Chemical Weapons Production Facilities” (CWPFs), are not named in the report. 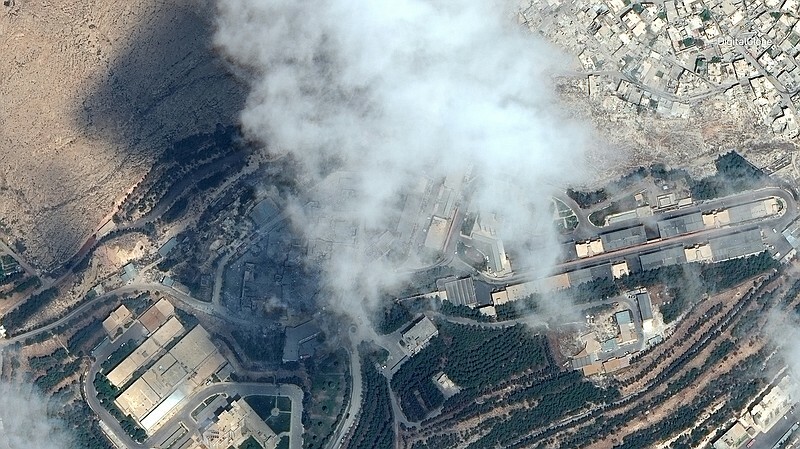 In the summer of 2014, Syria’s declared chemical weapons stockpiles were destroyed under the supervision of the OPCW and the United Nations in a deal brokered by Russia and the US. In the time since, the country’s chemical weapons-related facilities have been systematically destroyed or decommissioned, according to OPCW documents, leaving only two standing today. In light of the military action taken on April 14, these facts raise questions about the status of the Syrian chemical weapons program—which, by all indications, has been dismantled with cooperation from the Syrian state—as well as the nature of the buildings hit in the strikes. The OPCW declined to confirm whether Barzah or the Him Shinshar compound were either of the two facilities said to be slated for demolition in the Mar. 13 report. The OPCW also declined to provide the name of either facility.